Lynn Ghahary :: Pieces of Me ...: Happy Birthday Kimber! SURPRISE! Today is a very special person's birthday - my sweet friend Kimber McGray! 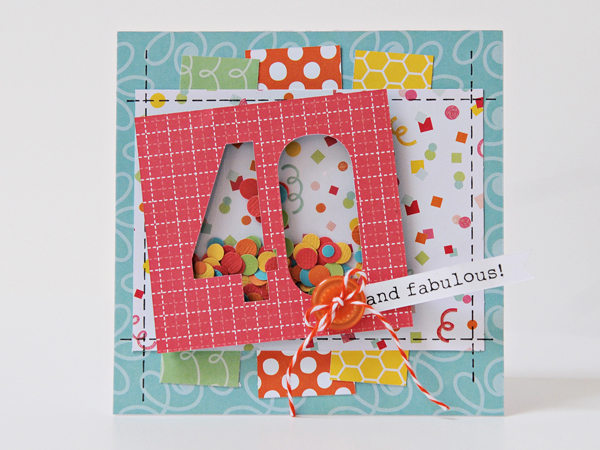 And what better way to celebrate turning 40 than with a birthday blog hop! Here's a fun little card that I created especially for you my friend because, let's face it, you are nothing less than fabulous! And here's some crafty mumbo jumbo because I feel like I can't post on my blog without adding some type of crafty talk! 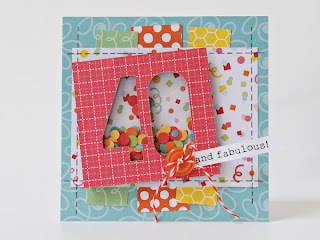 LOL I created this fun shaker card using goodies from the Hip Hip Hooray collection from Pebbles. To create the shaker I cut the number "40" image with my Silhouette and then trimmed down a photo protector to fit behind my paper. I stitched 3 sides of the photo protector to create a pocket, added lots of punched cardstock confetti, and then stitched up the top. So much fun! Kimber - I hope you have the happiest of birthdays and that all of your birthday wishes come true. I am so very lucky to know you and call you my friend. Hugs! that card is AMAZING!!! Totally stealing that idea for my own! this is AMAZING! 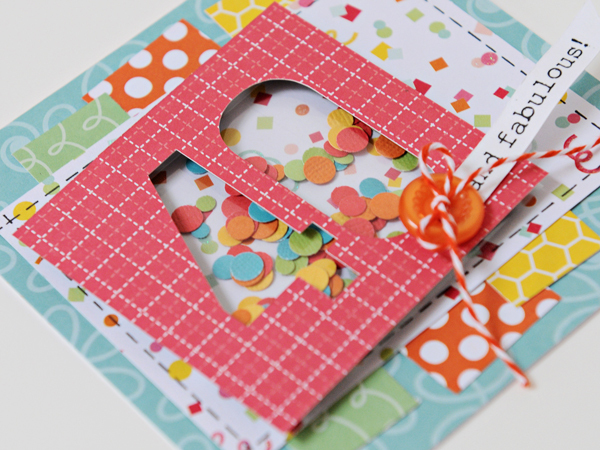 I've been wanting to create a confetti card and I "thought" that idea might work i just haven't done it yet! Thanks for the confidence to try it! SEriously love the colors Lynn! Your card is so colorful and pretty! thanks for sharing! I love confetti cards! lovely shaker card Lynn and a happy day to Kimber. Fun card! Love the shaker 40 and the bright colors. What a clever card. I have always had a soft spot for a shaker card. Nice work. Giving card in card holder is always good and decent.